Irusu 6.0 Amp Dual USB Fast Car Charger with Qualcomm Quick Charger QC 3.0 for Apple and Android Devices. Intelligent Qualcomm Quick Charger 3.0: One of the most efficient USB charging, with faster and latest technology at its core .Well Engineered to re-energise the device up to 4X faster than standard chargers which is 40% more efficient than the previous Quick Charge 2.0. Dual Output: Irusu Car Charger is equipped with dual USB ports, Port one can give output up to 3.1A and the other port up to 3.1A with total up to 6A current which is more than any other fast chargers at this price point. Smart output 1: DC 5V / 3.1A 9V/ 1.8A 12V / 1.8A, Output 2: 3.1A. 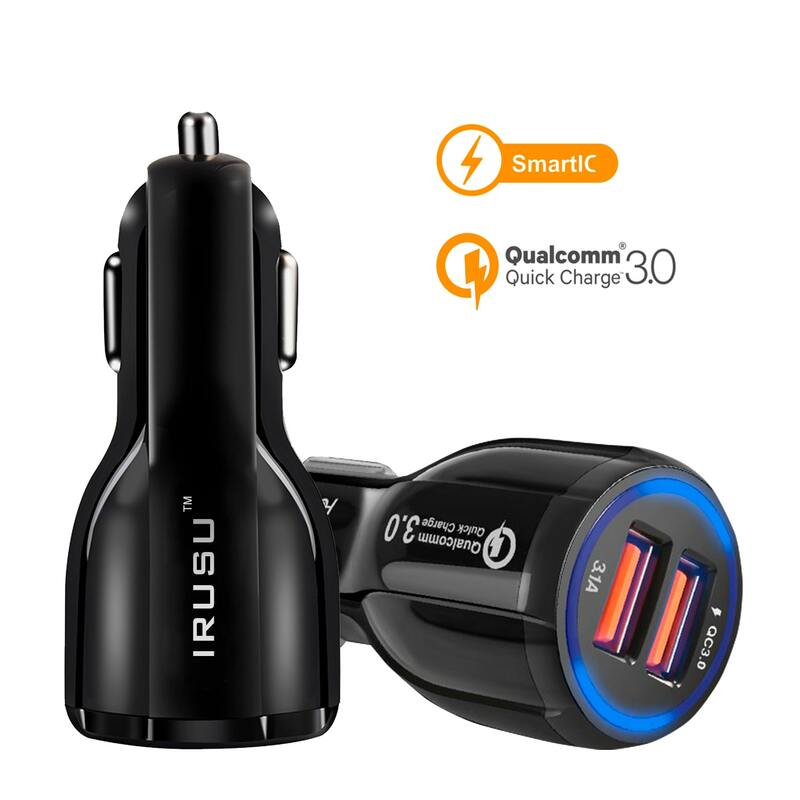 Compatible with devices: Irusu quick car charger is compatible with all versions of previous Qualcomm quick charger technology (1.0 & 2.0) and also supports equal charging quality with non-Quick charge devices. Smart IC Intelligent Adaptive Technology: This smart technology identifies your device to provide fastest possible charging automatically. This car phone charger can simultaneously charge two devices at high speed. Multi-Level Protection: Irusu charger is highly safe to use, the built-in protection system will prevent over-current, over-charging and over-heating to give a superior performance, reliability and safety.